Online applications for managing your Army War College/Carlisle Barracks digital identity and academic records. Insert your CAC/PIV into the card reader, then Sign in. 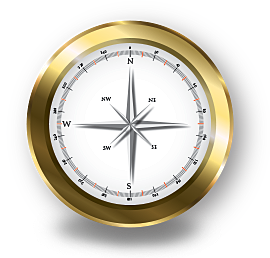 Compass requires an activation token to establish your account credentials. Your sponsor will issue an account activation email that includes your activation token. YOU ARE ACCESSING AN INFORMATION SYSTEM (IS) PROVIDED FOR UNITED STATES GOVERNMENT (USG) AUTHORIZED USE ONLY. Information contained within this website is government owned and restricted to UNCLASSIFIED//NONE categorized information only. Transferring data which does not meet this criterion is in violation of DoD regulation and may be subject to UCMJ or Federal penalty under U.S. Code Title XVIII. Access to this site is for authorized students, faculty, and staff only. Any unauthorized distribution of information on this site without the expressed consent of the United States Army Combined Arms Center, Leader Development and Education or WHINSEC is prohibited. Password authentication limits individuals to managing only their own information. Faculty and staff members must use CAC authentication to perform administrative functions.